Zipping around behind the controls of a drone is fun enoug but you really don’t know how strong a pilot you can be until you get your hands on one of those zippy micro-drone flyers. Super-small, yet super-responsive, tiny drones require a different level of skill and precision flying to test your abilities. Of course, that’s not to say models like the SKEYE Nano 2 FPV Drone ($55, 45 percent off from TNW Deals with coupon code GIFTSHOP15) are hard to fly. They aren’t. But at just over an inch-and-a-half across, less than an inch high, and weighing less than half an ounce, the world’s smallest camera-packing drone does offer some new flying challenges — all without sacrificing the Nano 2’s insane maneuverability. In fact, the push button takeoff feature makes it not only easy to get the Nano 2 into the air, but you can even connect it to your smartphone via WiFi and fly it with your device. Whether you’re using the included controller or your phone, the Nano 2’s adjustable gyro sensitivity and 6-axis flight control system provide a stable flight while still allowing you to pull off all the acrobatic flip moves and other daredevil spins you can conceive. Best of all, the Nano 2’s compact, lightweight design houses an HD-equipped, WiFi-controlled camera so you can watch and even record awesome first-person-view video in real time. 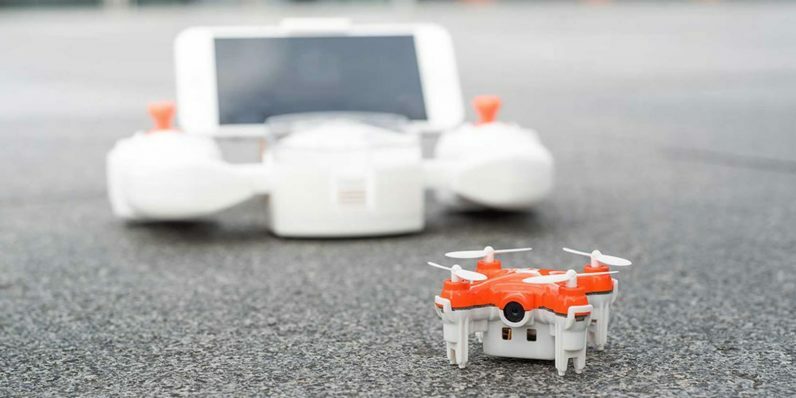 At 45 percent off, this mini-drone is the definition of a perfect stocking stuffer. Don’t miss out on this limited time deal before holiday shoppers wipe out the supply.